www.badlandsoffroad.com Great place to go in Indiana. yeah man, i know what you mean. some illegal wheelin is getting caught around me now. My brother went to another place down in Laurel, Indiana. I haven't been yet, but I heard a lot of people go there, mostly with quads and bikes though. Not sure about the truck trails. Don't know if anyone has ever heard of it but there is a great spot here in West Virginia in the wayne county area called The Ridge. It has some of the greatest trails I have ever seen and in some parts if you don't have a lift or a good set of tires your not going to get far. 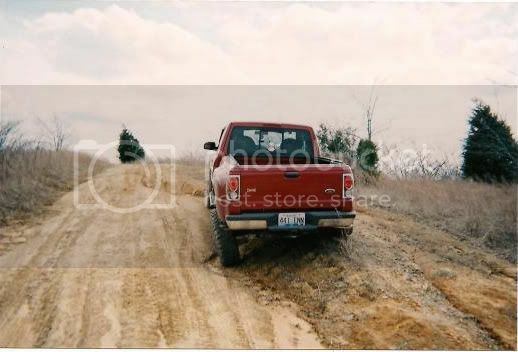 There are alot of mud holes out there too and one is called the barge hole and has a old vw bug sittin at the bottom if that tells you about how deep it is.It also has 4 wheeler trails and its good for buggy rides. If anyone is interested I can put detailed instructions on how to get there. ya NY is missing and also i am shocked why it is not there...??? The only place I knew of here in PA was called Paragon. I love Haspin Acres. Go there all the time. I just wish it was a little bit closer. i would hate to breakdown there. I mostly take my dirtbike, they have some pretty gnarly hills for trucks. Look up Devils backbone trail in haspin. I lived in PA for a year or slightly more there are all kinds of trails around the white hall Jim thorpe area. Saw a list of awesome Off-roading parks in the offroaders website. It's such an expensive hobby. I hope to save enough money for it. Hey I purchased a rwd ranger a couple of months ago. Since then I have had some regrets about not purchasing a 4wd. Any ideas on some small modifications to make my truck drive more like a 4wd?